Domestic sourcing refers to procurement of raw materials, parts, sub-components or assemblies within the same country as either final assembly or retail sale. Domestic sourcing remains one of several available options within a strategic sourcing methodology. While low cost country sourcing appears to be in "vogue", particularly for products and components where timing and quality are not as critical, domestic sourcing remains in wide use where reliability and supplier partnerships are more important than individual component price. While local sourcing is often less complicated than global sourcing, there are 8 key tips to successfully leveraging this type of sourcing. Use domestic sourcing when quality is critical. Domestic vendors make it is easier for buyers to maintain communication and controls. Set up regular meetings over any quality trends or future needs. Leveraging your domestic vendor facilitates carrying less inventory. With local, reliable suppliers, you can order in smaller quantities, freeing up resources for other operational needs. Take advantage of shorter lead times. Local suppliers generally have significantly shorter lead times with fewer steps in the transportation process that can potentially lead to delivery delays. In the face of demand uncertainty, have domestic sourcing options. Small quantity per order and shorter lead time allows flexibility in the face of unpredictable demand. When demand forecasting fails, domestic sourcing can ensure proper customer service, albeit at a higher price per unit. Use local sourcing for sensitive technology. Many low cost countries have little regard for patents, copyrights and trademarks. Sensitive industry secrets are more prone to theft by reverse engineering when companies use low cost country sourcing. 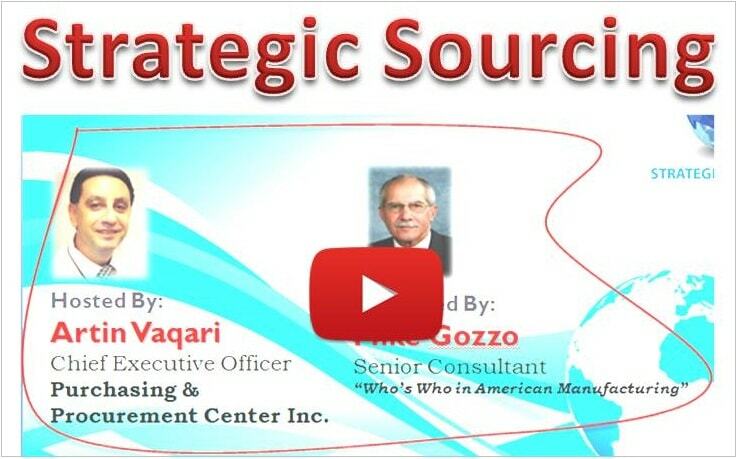 Leverage supplier relationship to explore consignment inventory. Domestic vendors are more likely to work with buyers to either allow more favorable invoice terms, such as Net 90 day invoicing, or allow fee-for-use on inventory placed in the customer warehouse and billed upon periodic inventory by the owning vendor. Improve public image through domestic sourcing. Reducing tax and tariff burdens equal reduced accounting complexity. There is a real savings to reducing tax and fee complexity, both from the transaction execution perspective and for calculating cost of goods. Current practice in high technology industries show an average of a 65/35 mix of domestic sourcing to global sourcing. Finding the right mix depends on the industry and where the vulnerabilities to supply chain cost management exist for a given company.